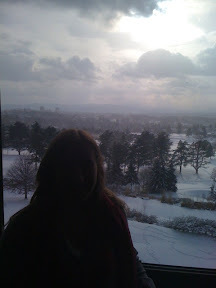 So for Christmas we surprised my parents with brunch and a night at The Grove Park Inn in Asheville NC. 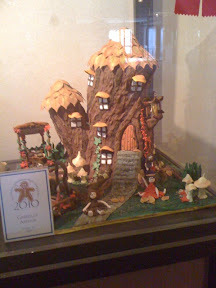 The amazing gingerbread houses are still on display and lovely trees so thought I would share the snaps. Oh Rebecca - so very sweet. Need any more snow? 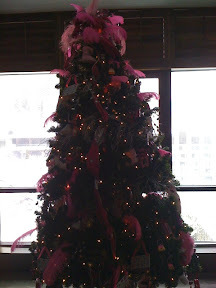 Looks like you had a merry Christmas~ Asheville must be so pretty during this festive season. 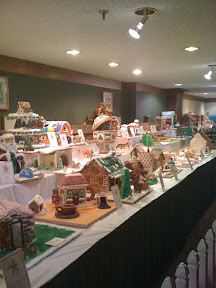 Lot of awesome ginger bread houses. Rebecca, thanks for sharing the photos, enjoy looking at tat. Rebecca,I hope you had a wonderful Christmas! 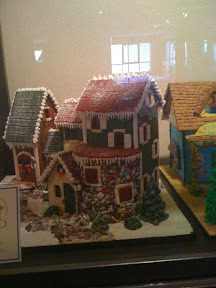 lovely pics,hope you had a great xmas rebecca..
What a lovely display of gingerbread houses. Love them all! So cool! 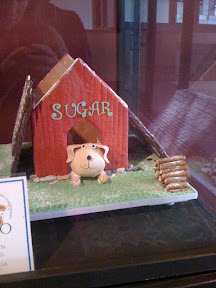 I love gingerbread houses and other creations. Oh wow those houses are gorgeous! What fun! You KNOW I was there with the kiddos! How charming! The first house is amazing! I've struggled with square houses; can't imagine making a tree trunk. Hoping you are braving your snow storm and enjoying your holidays. What a fun gift. I bet they had a fabulous time. I love all the gingerbread houses! I hope you had a very merry christmas! I just love gingerbread houses! These are all so cute! 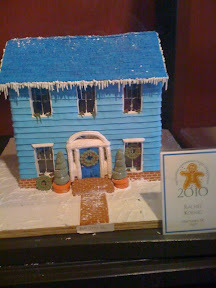 I'm always surprised by the creativity when it somes to gingerbread houses. I think that will holiday project for next year. 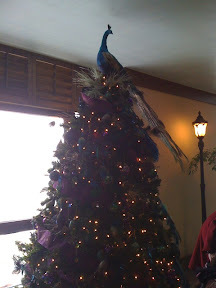 Oh my gosh, I SOOOO want to go to the Grove Park Inn!! I forgot I wanted to do that this year!! Asheville is so much fun and such a short drive for us-- we need to take advantage of it more often! Looks like you had an amazing time!! They are all wonderful...I hope you had a most beautiful Christmas, and wishing you a fantastic New Year! 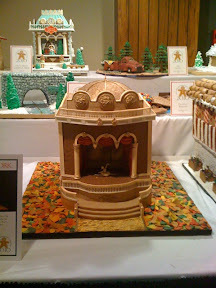 I love ALL the gingerbread houses :D. Got me all excited looking at your photos. They're coolness! I was Interviewed for my Local Paper! Next App Update Will Feature Wine Pairings! Bubble and Squeak and Virtual Snowmen!!! !